The Zoeller BN137 Effluent Pump comes with a 3-year manufacturer's warranty. The Zoeller BN137 Effluent Pump has 1/2 HP motor, 1-1/2" NPT discharge with a solids handling up to 5/8" capability. 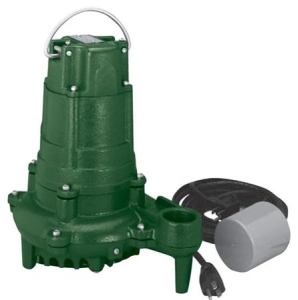 The Zoeller BN137 Effluent Pump is cast iron with powder coated epoxy finish and is part of the "Flow-Mate" series of submersible pumps designed for use in residential or light commercial dewatering applications and can be used to transfer groundwater or effluent. All Zoeller pumps are 100% pressure-tested, submerged and run to ensure quality and reliability for years of trouble-free performance. 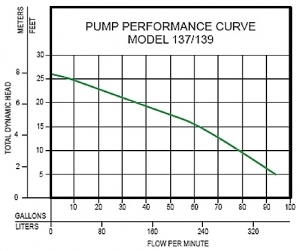 Note: The sizing of effluent systems normally requires variable level float(s) controls and properly sized basins to achieve required pumping cycles or dosing timers with nonautomatic pumps. Pumps must be operated in upright position.